A huge thing has been floating near and nearer to the surface of my awareness. For years I’ve thought the thing I glimpsed was floating up, floating in, to my awareness. One month I’d see a contour here, the next, a series of parallels there, and I thought “something is moving toward me.” Now I suspect the surface on which I float has been going down, approaching a bottom of bedrock awareness. It’s still not clear, but I have faith that if I attempt to describe it, that will help. An early crystallization was discovering Thich Nhat Hanh’s Living Buddha, Living Christ. Parallels! Much more recently, in the last few years, I’ve been preoccupied with our Global Transition, and I’ve been looking for the proper orientation I think we should have toward it. What has come clear to me, what I want to urge upon my friends, is that we need to move toward the changes unselfishly. I am responding to many conversations I have had, with many people, most of them unspoken. I see in their eyes: “Will this hurt? What will happen to my child?” I see it in their body language, bracing against coming impact. I see it in their choices. I can recognize these things in others because I carry them in myself. Mostly I try to be forgiving, toward myself and others: “These are perfectly normal self-protective actions, quite appropriate to the situation.” And I feel bad. So I ask myself, “Well, if cringing in the face of expected pain leaves you feeling miserable, what attitude, what stance, would you feel better about.” Clarity on this point has come relatively easily. A couple of years ago I realized that “resilience” would one part of whatever the future holds, and it was clear to me that I wanted me and my friends to be stretching for that, to be working to make it more likely in our immediate society at least. But what about “me and mine?!! !” That was where I got my clarity. “You must be prepared to lose your life, to lose what you love, if you are to be at your best in the coming times. This thing is so big there is not much point in storing up particular private treasurers. MUCH will be lost. Look to what you can do to support those who happen to be lucky. Hopefully the children of our community. Somebody’s children, for sure. And it was in that frame of mind that I saw the contours of that huge thing once again floating in my awareness. 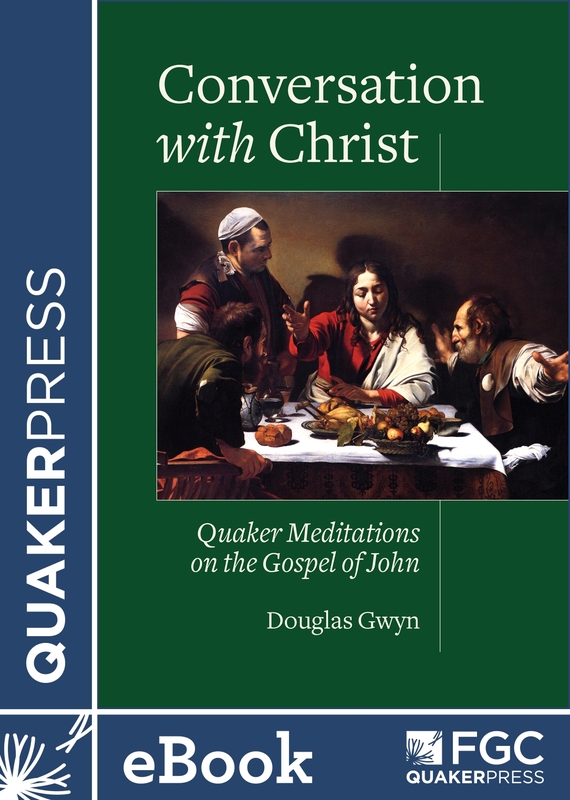 I encounter it again today, reading Douglas Gwyn’s Conversation with Christ. … to lose one’s life is to gain it; to love one’s life is to lose it. In John, Jesus states that “those who hate their life in this world will keep it for eternal life.” To hate one’s life in this world is to disown one’s life as the world defines it, renounce the socially constructed self, and allow God to define and destine one’s life. And those of you who look back at my journey chronicled here will know I have done my best to approach the “Christian message.” Still, I find it toxic. Not toxic in my intuitive recognition but toxic in my relationships with my non-Christian friends and toxic to my sense of self when I nod my head “yes” within the Christian Brotherhood and feel the smiles of recognition, feel the enclosing arm put around my shoulder. When I “act Christian,” even with a smile or a nod, I feel many “brethren” happily including me and drawing a line separating me from the “infidels.” I am simply unable to accept that position. I have tried and I cannot do it. I believe there is a natural and proper selfishness. Babies, parents, properly reach to acquire. And they defend. The individual is worth encouraging and preserving. I believe this is a metaphysical truth that reaches far beyond the human condition to include all life –animal, plant and other. And I believe there are things more valuable than individual integrity. For the good of the whole we may accept privation. Most beings accept these limitations with no awareness at all. They live in the shade of a larger tree. They wait ’til the bigger piglet is full before they get a teat. But with primates, we see a basic sense of justice and compassion. They are doing stuff that Jesus talks about without ever having heard the Word. My metaphysical truth is: not putting yourself above the rest is built in. It’s not learned from our stories. And if your background leads you to say “built in” = “from God,” I’m perfectly happy with that. In fact, what this post is about is trying to approach Christian stories and wisdom to see what I as a non-Christian can learn. I am glad to hear (certain) Christians talk about God, talk about the child of God and God’s children. I believe that I personally will always feel it necessary to speak as an “outsider” when I share their teachings, but I think Christian stories are one way to learn about fundamental human realities and I want share their wisdom.